Astronautics is an experienced systems integrator leveraging its long term avionics and mission system capabilities to provide advanced systems for a variety of airborne applications. Customer have called on Astronautics systems integration capabilities to design, develop and provide complex systems like the Network Server System (NSS) that allow them to successfully fly their missions. Integrating its broad product portfolio, from servers to mission computers, from displays to navigation systems with the products of its industry partners, Astronautics is able to provide subsystems, full systems or entire cockpit integration to its customers in both civil and military markets. We invite you to explore our systems integration capabilities. Astronautics currently has equipment flying on more than 85 airlines. Many of these airline programs have been retrofits of aircraft that are already in service. These retrofits have introduced cockpit displays and servers to meet safety mandates and to improve efficiency of operations. In support of safety mandates, Astronautics has provided dual 5ATI Electronic Horizontal Situation Indicator (EHSI) display systems, four 5ATI Electronic Flight Instrument System (EFIS) displays, and four 6×8 EFIS display system retrofits presenting terrain and flight plan/position information to the crew with Supplemental Type Certificate (STC) certifications for terrain and CNS/ATM retrofit programs. Astronautics has also provided Electronic Flight Bag retrofits through STC’s to improve efficiency with paperless cockpit document reader, airport moving map, ADS-B based Cockpit Display of Traffic Information, Maintenance, Enroute map, and Electronic Chart applications. In addition to the EFB retrofits, Astronautics is providing Servers to enhance airline operations in the areas of maintenance, data loading, security, and other efficiency improvements. Astronautics has performed display retrofits in helicopters, trainers, fighters, civil and military transports, and special mission aircraft. These display upgrades have supported a multitude of operator requirements including meeting safety mandates such as display of terrain and traffic, introducing operational enhancements through CNS/ATM functions presented on the cockpit displays, integrating display systems to support surveillance sensors and avionics, replacing obsolete displays and instruments with modern AMLCD color displays, and supporting enhanced mission functions such as high definition video sensors, digital maps, improved situational awareness, and tactical data link control. The Astronautics display systems have been adapted to specifically meet the requirements and budget constraints of both civil and military customers. The majority of these displays have been FAA TSO certified products. 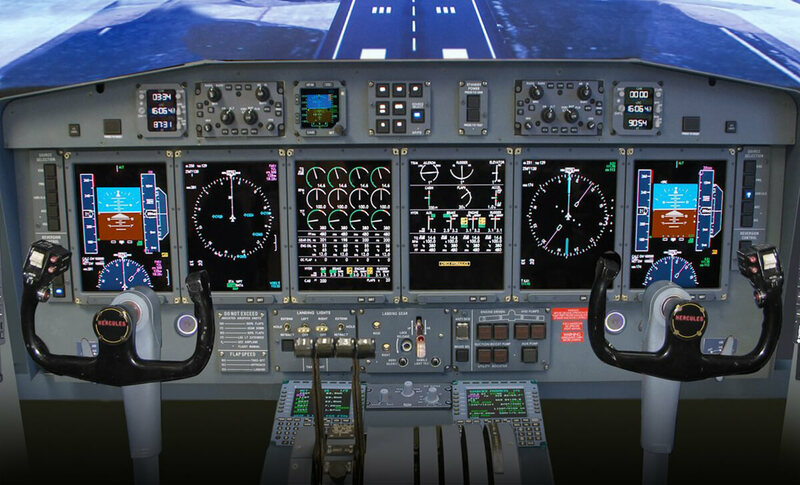 Astronautics has both led and supported full avionics modernization programs in helicopters, trainers, fighters, civil and military transports, and special mission aircraft. These avionics upgrades have included flight deck upgrades with improved navigation, communication, and surveillance/safety systems to support varying operator requirements. These avionics modernization programs have included civil STCs and military certifications. The purpose for these modernization programs has included meeting safety mandates such as display of new terrain, weather, and traffic information, introducing CNS/ATM capabilities through new Flight Management Systems and Global Positioning Systems integrated with new cockpit displays, integrating new sensors and display systems to support surveillance and search and rescue missions, extending aircraft operational capabilities and life through the replacement of obsolete systems, and introducing enhanced avionics and mission functions such as high definition video and sensors, digital maps, ADS-B and Link 16 for improved situational awareness, and data link control.